It is no secret that India has a glorious past, reflected in its culture, tradition, rulers and so on. Indian was ruled by many kings during the last century. Each of the rulers had a unique influence on the people of their kingdom and also organized their territories according to their tastes. As a result, India has numerous monuments and palaces that speak highly of the architectural opulence and styles of the people of the bygone era. It was only after independence that all these little kingdoms joined together to form a democracy. However, the lineage of the ruling families decided to keep the monuments intact, under good care. Most of them come under heritage sites and many have even been converted into luxurious hotels for people to get a taste of the royal lifestyle. Listed below are some of India’s best palaces. 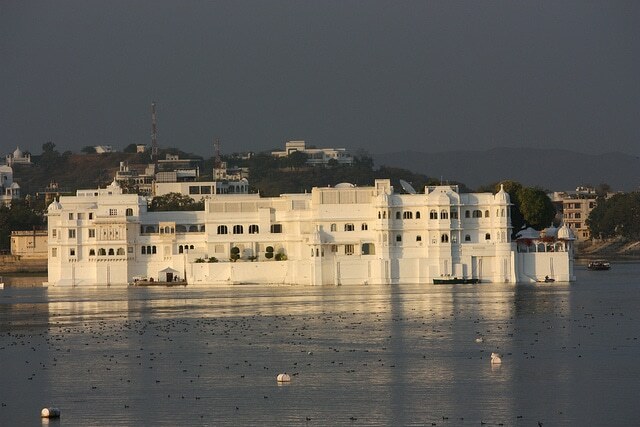 Located in Udaipur, the Lake palace was formally known as the Jag Niwas. The name was given to the palace after the island on which it was constructed. The island too is known as the Jag Niwas. The lake surrounding this beautiful palace is the Pichola lake. It was constructed during the reign of Maharana Jagat Singh and took almost 3 years to complete. Made with white marble, this palace would leave you surprised. It has now been converted into a five-star hotel. The hotel has speed boat facilities for transportation to and fro the island. The Mysore palace is the second most visited place in India after the Taj Mahal. 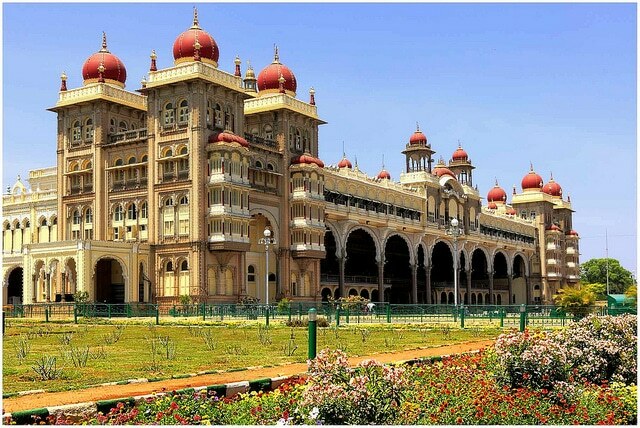 It is a huge palace and is still a residence for the royal family of Mysore, i.e. the Wodeyars. The construction of this palace began in 1897 and was completed in 1912. The architectural style of this palace is a perfect blend of the Rajput, Hindu, Muslim and Gothic styles. Watching the lush green gardens encircling the huge monument is a treat to one’s eyes. If possible, you must visit it during the Dussera festival. The festival is celebrated with great pomp and show. You can see the entire ground flocked by musicians, elephants and so on. It is usually celebrated in the months of September or October. 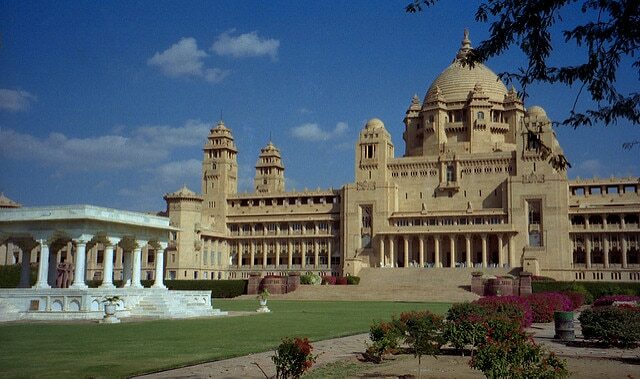 The Umaid Bhawan Palace of Jodhpur is the largest private residence of the world. The royal family still stays here. A portion of the palace has been given to the Taj Hotels and hence, it also serves as a luxurious hotel. This palace was not constructed for selfish reasons of the ruler; instead, it was built to provide employment to thousands of people who had lost everything due to the famine. The construction had begun in 1929 and went on till 1943. Another portion of this palace is a museum which displays a number of things used by the royal family at that time. The palace is built with sandstone and marble. It is a wonderful construction, done by keeping every minor detail in mind. The Rambagh palace of Jaipur is a very famous palace of India. Its beauty and excellent architectural style is widely renowned. It was the former residence of the ruler of Jaipur. This palace came into existence after repeated constructions. From a simple monument, it first became the hunting lodge for a king and a series of events followed which lead to the construction of this magnificent monument. It has now been converted into a hotel and is managed by the Taj Group. It is also one of India’s most expensive hotels. 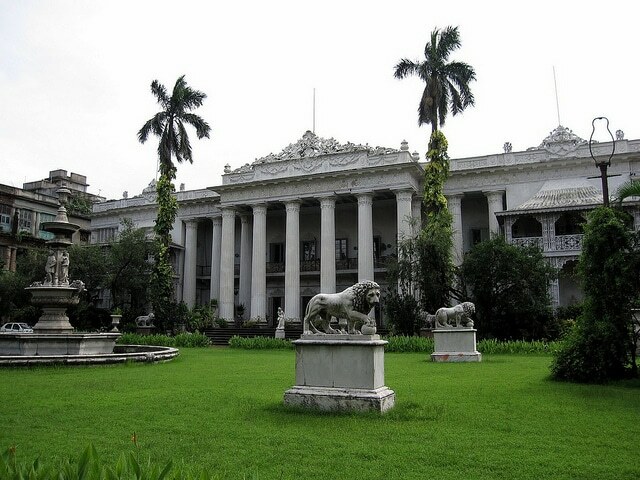 The Marble Palace located in Kolkata was a palatial mansion built by a wealthy Bengali merchant named Raja Rajendra Mullick. He loved to collect artworks and the proof can be seen in the palace. The huge sculptures of marble and other great paintings prove his fascination for art. His family still lives in the palace. The walls and floors are made of marble and that is how the monument got its name. It is a beautiful monument and is constructed in the neoclassical style. Next time you are in Kolkata, make sure you do not miss out on this lovely place. Falaknuma means “mirror of the sky” or “like the sky”. Located in the city of Hyderabad, it was built by its prime minister, Nawab Vikar-ul-Umra. The palace was designed by an English architect and is a unique blend of Tudor and Italian styles. It took nine years to complete the construction of this magnificent palace. The palace has a number of unique things which would be of great interest for anyone deeply interested in history. From Venetian Chandeliers to Burroughs and Watts designed billiard board, this palace has a lot to talk about. In the year 2000, the palace was renovated into a hotel by the Taj Group. The dessert state of India literally is flooded with forts and palaces. Amer fort of Amer, Rajasthan is yet another excellent example of the Rajput style of architecture. Built with limestone and sandstone, it occupies a vast area. There are a number of things to see within this fort. With Diwan-e-aam, Diwan-e-Khas, Jai Mandir, Sukh Niwas and the Seesh Mahal, you will get tired admiring the architecture of the fort. It is designed with such attention to detail that you might almost miss the purpose for which many structures were built. The fort is so popular that according to some statistics, it receives 5000 visitors each day. It is also a UNESCO World Heritage Site. 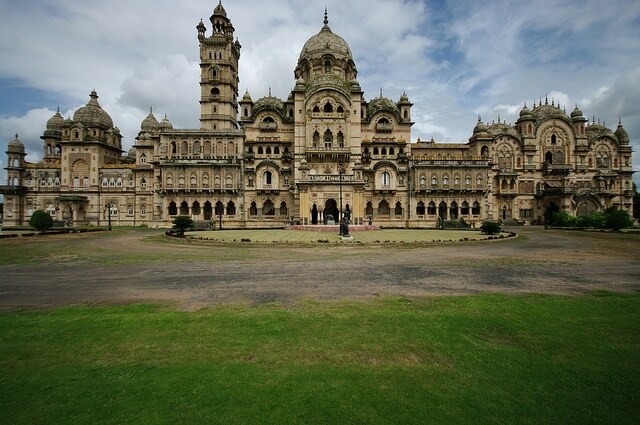 Located in Vadodara, Gujarat, this place is also called the Maharaja Palace. It is the world’s biggest palace and the most surprising fact is that it is four times the size of the Buckingham Palace! 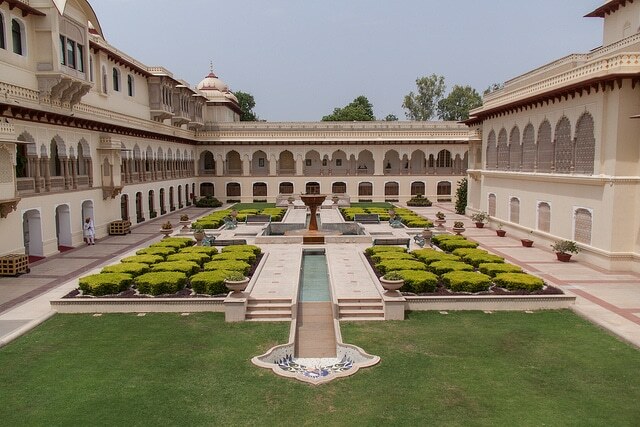 The royal family continues to live in this magnificent palace and is still highly esteemed in all of Gujarat. Many events and concerts take place here. A part of the palace has also been turned into a museum. 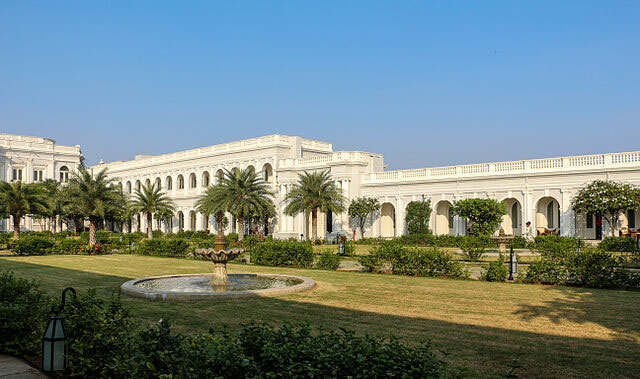 Laxmi Vilas palace is built in the old classical style. 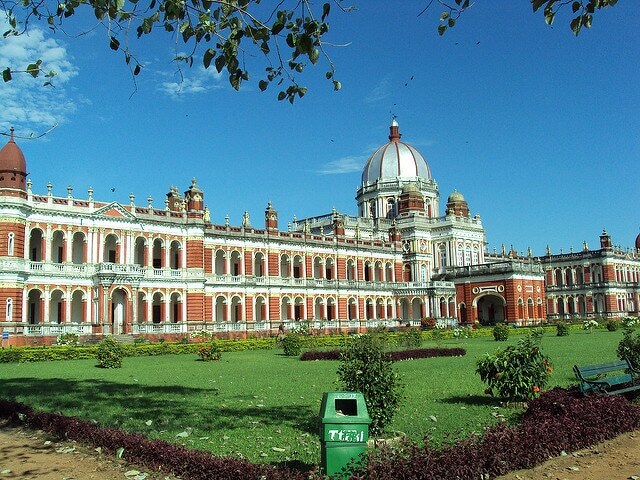 vVictor Jubilee palace is also called the Cooch Bihar palace. It was designed under the rule of Maharaja Nripendra Narayan. The base model of the palace was taken from the model of Buckingham palace, London. The palace is built in the classical western style. With huge rooms and beautifully decorated halls, the palace also has bed room, dressing room, dining hall, drawing room, billiard hall, library, vestibules and ladies gallery. Sadly, most of the valuable things in these rooms are now lost. 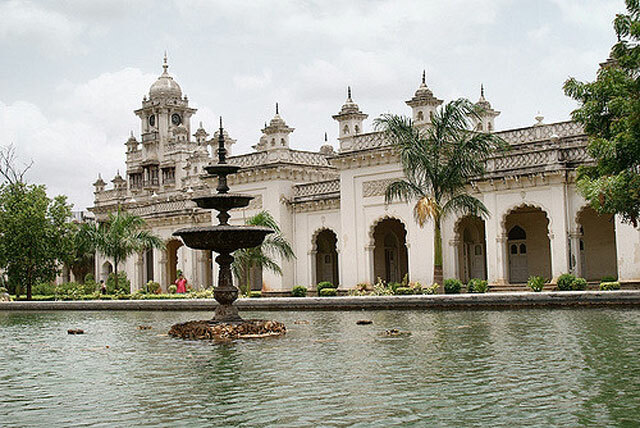 The Chowmahalla palace of Hyderabad was the property of the Nizams of the city. It was the official residence of these rulers. The palace is also called Chowmahallatuu, meaning four palaces. This palace has a unique style of architecture and the overall monument has an aura of elegance. The construction had originally begun during the late 18th century and went on for decades because of which it came under the influence of a number of architectural styles. The output of this blend came out to be nothing less than spectacular. The palace is also popular because of its location right next to the famous Charminar. These are just to name a few of India’s forts. If you are a history enthusiast or find the lifestyles of the royalty very fascinating, India is just the place you should visit. 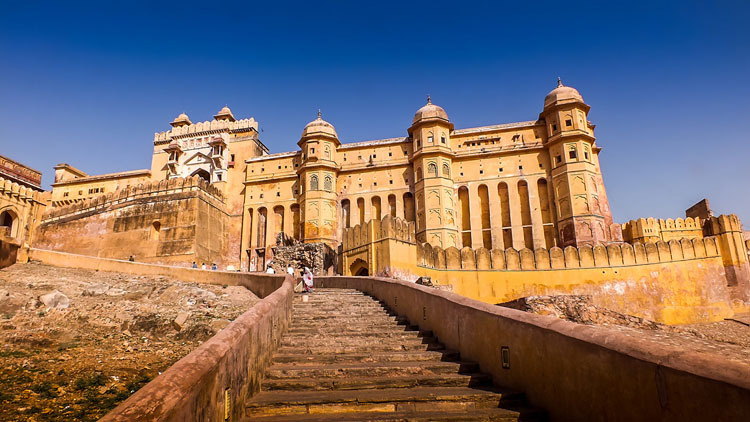 Almost every state of the country has a beautiful fort built by some ruler of the bygone era. The surprises do not end there. Each fort has a story of its own. The forts listed above are some of the biggest and most beautiful forts of India. However, even the smallest of the forts have something very unique about it. It is always fun to unravel the stories and legends revolving around such historical places.